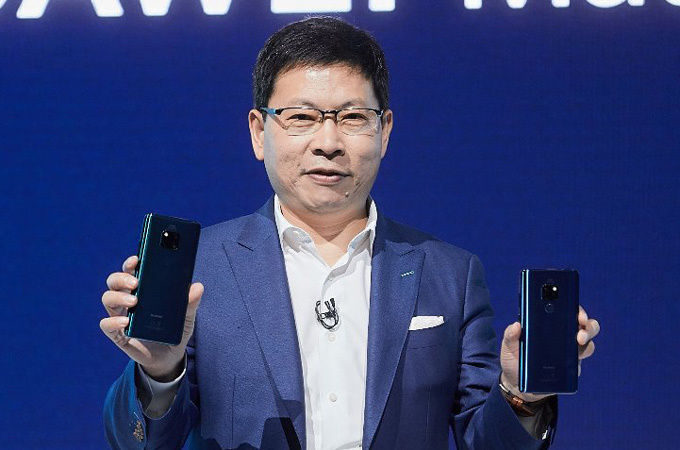 Huawei Consumer Business Group (BG) has unveiled the Huawei Mate 20 Series, one of the most highly anticipated smartphone series of the year. Representing a momentous milestone in the history of the Huawei Mate Series, the Mate 20 Series embodies the pinnacle of innovation. Designed with the industry’s most powerful and sophisticated process technology, the latest Huawei flagship devices set a new bar by which all 2018 smartphones will be measured, said the company. The Mate 20 Series is powered by Huawei’s densest and highest performing system on chip (SoC) to date—the Kirin 980. Manufactured with the advanced 7nm process incorporating the powerful Cortex-A76-based CPU and Mali-G76 GPU, the SoC offers improved performance and an unprecedented smooth user experience, it says. The new 40W Huawei SuperCharge, 15W Wireless Quick Charge and large batteries work in tandem to provide users with the best battery life. The Matrix Camera System includes Leica Ultra Wide Angle Lens that lets users not only see wider, but also closer with its new macro distance capability. The Hyper Optical Pattern on the glass back plays with light and shadows, producing an iridescent optical effect that is immediately captivating. The Matrix Camera System adopts the iconic Four-Point Design that exudes personality, giving the device a unique visual identity that is recognisable even at a distance. The Mate 20 Series is shipped with the highly customised Android P-based EMUI 9 operating system, on which consumers can enjoy all productivity and entertainment features easily and conveniently with a few simple taps and swipes. Available in 6.53-inch, 6.39-inch and 7.2-inch sizes, the Mate 20 Series encompasses four devices: Mate 20, Mate 20 Pro, Mate 20 X and Porsche Design Mate 20 RS. The SoC at the core of smartphones has a determining factor in a device’s performance and efficiency. Manufactured with the cutting-edge 7nm technology process, the SoC fits 6.9 billion transistors within a die the size of a fingernail. Compared to Kirin 970, the latest chipset is equipped with CPU that is 75 percent more powerful, GPU that is 46 percent more powerful and NPU that is 226 percent more powerful. Furthermore, the efficiency of the components has also been elevated: the CPU is 58 percent more efficient, GPU is 178 percent more efficient, and the NPU is 182 percent more efficient. The Kirin 980 is the world’s first commercial SoC to use the Cortex-A76-based cores. Huawei has innovatively designed a three-tier architecture that consists of two ultra-large cores, two large cores and four small cores. This grants the CPU the flexibility to allocate the optimal amount of resources to heavy, medium and light tasks for unprecedented levels of efficiency, simultaneously improving the performance of the SoC while enhancing the battery life. The Kirin 980 is also the industry’s first SoC to be equipped with Dual-NPU, granting it higher On-Device AI processing capability to support any and all AI applications. Mate 20 Pro is the world’s first smartphone to support the 4.5G LTE Cat. 21 standard, allowing consumers to experience download speeds of up to 1.4Gbps. It also supports the world’s fastest Wi-Fi connection speeds--2GB footage requires only 10 seconds to download. The top-end flagship also supports dual-band (L1+L5) GPS positioning technology. The AI GPS Satellite Selection technology enhances the positioning accuracy across a wide range of scenarios. Besides superb performance, the Mate 20 Series also features groundbreaking improvement on battery life. The Mate 20 Pro houses a large, high-density 4200mAh battery, and supports 40W SuperCharge, which gives the device 70 percent charge in 30 minutes. The safety of the technology is certified by TÜV Rheinland. The Mate 20 X supports an ultra-large 5000mAh battery, and is equipped with a revolutionary super cool system that uses a combination of graphene film and vapor chamber to deliver outstanding cooling performance. Building on the foundation of P20 Series’ camera system, Huawei augmented the Mate 20 with a powerful addition—16mm Leica Ultra Wide Angle Lens. This wider perspective creates a sense of spaciousness and a three dimensional effect to the images. The new camera system also supports macro distance, which produces crisp images of objects that are placed as close as 2.5cm from the lens. The added ultra-wide angle lens and macro support completes the feature set of the camera system, elevating it to a truly all-round camera that is ready to capture any and all action. The Mate 20 Pro is equipped with a 40MP main camera, a 20MP ultra wide-angle camera, and an 8MP telephoto camera. Together, the trio of lenses supports a wide range of focal lengths (equivalent to the performance of a 16-270mm zoom lens), enabling it to mimic the results from professional cameras. The Mate 20 Series also features an AI Portrait Color video mode. Using AI, the device can isolate human subjects and desaturate the colours around them to dramatically highlight the person. AI Spotlight Reel identifies clips with a shared theme and auto-generates a montage, made entirely of highlights. The new Mate 20 Series, as well as Huawei Watch GT, Huawei Band 3 Pro will go on sale in countries including the UK, France, Italy and UAE soon, the company said. The Mate 20 (4GB + 128GB configuration) will have a price of €799 ($923.22); Mate 20 with 6GB + 128GB configuration will have be priced €849.